One of the last, true, midsize SUVs to offer genuine off-roading capability, the Toyota 4Runner is built to a specific purpose and for a specific audience. Rugged styling, combined with a legendary reputation for dependability, make the 4Runner more broadly appealing, potentially to the detriment of the people who buy one solely for those reasons. Nevertheless, the 4Runner's appeal remains consistent among its buyers, even if the SUV lags behind most other Midsize SUVs in the J.D. Power 2017 U.S. Automotive Performance, Execution and Layout (APEAL) Study.SM Now in its eighth year since its last complete redesign, the 4Runner is almost certainly due for replacement, so we decided to take a closer look at the current model. For this review, we evaluated a 2017 4Runner Limited with 4-wheel drive (4WD), power running boards, carpeted floor mat and cargo mat set, and roof rack cross bars. The price came to $46,429, including the $960 destination charge. Before we discuss the results of our evaluation of the 2017 4Runner, it's helpful to understand who buys this SUV and what they like most and least about it. According to J.D. Power research data, people who buy the Toyota 4Runner tend to be younger and more affluent when compared with the Midsize SUV segment. The median age of a 4Runner buyer is 50 years, compared with 56 years for the segment. The median annual household income of a 4Runner buyer is $120,750, compared with $113,384. Just as many women buy 4Runners as they do Midsize SUVs in general, at 41%. Toyota 4Runner buyers primarily identify themselves as performance buyers (24%) and working utilitarians (24%), whereas Midsize SUV buyers most frequently identify themselves as practical buyers (29%) and hometown retired (26%). Image appears to be a main reason that 4Runner buyers chose their vehicle. Only 28% of 4Runner buyers agree that a vehicle is just a way of getting from place to place, compared with 36% of Midsize SUV buyers. Also, Toyota 4Runner buyers more frequently agree that they like a vehicle that stands out from the crowd (82% vs. 70%). Though they are unhappy about the 4Runner's fuel economy (see below), only 40% of buyers agree that fuel economy is their first consideration in choosing a new vehicle, compared with 56% of Midsize SUV buyers. Not surprisingly, just 40% of 4Runner buyers agree that they are willing to pay more for a vehicle that is environmentally friendly, compared with 52% of Midsize SUV buyers. Buying a vehicle from a domestic company is less important to 4Runner buyers, with 33% claiming this preference compared with 61% of Midsize SUV buyers. Additionally, more 4Runner buyers claim that their family and friends think of them as someone who knows a great deal about autos (68% vs. 61%). Buyers say their favorite things about the 4Runner are (in descending order) the exterior styling, interior design, driving dynamics, visibility and safety, and seats. Buyers indicate their least favorite things about the 4Runner are (in descending order) the storage and space, climate system, engine/transmission, infotainment system, and by a significant margin, fuel economy. In the sections that follow, our expert provides his own assessment of how the 2017 4Runner performs in each of the 10 categories that comprise the 2017 U.S. APEAL Study. Exterior styling is, according to 4Runner buyers, their favorite thing about the SUV. I understand that. The 4Runner is bold and distinctive, each of the various trim levels offering a unique appearance. While I'm not a fan of the front styling, the 4Runner's flanks and rear end are a refreshing departure from the typical crossover SUV. Toyota 4Runner buyers say their second favorite thing about the SUV is the interior design. An equal balance of form and function, the 4Runner's cabin provides oversized buttons and knobs, simple and clear instrumentation, and a logical control layout. Some secondary functions are haphazardly placed, though, such as the Limited trim level's seat heating and ventilation dials, and the power rear window switch. Also, the overhead controls can be difficult to reference while driving. The test vehicle had brown leather upholstery, which provided an upscale contrast against the silver interior trim, simulated wood accents, and black dashboard, door panels, and carpets. Climbing aboard a 4Runner is difficult unless you have long legs. Toyota offers a set of optional power running boards for the 4Runner, and the test vehicle came with this upgrade, which helped my young children step up and into the SUV. Once you're in, you'll find comfortable seating whether you're sitting up front or in the rear. The driver faces a large steering wheel with a thick rim, and Toyota provides soft places to rest arms and elbows. The test vehicle included heated front seats, along with a highly effective seat ventilation system. Large temperature control knobs and buttons make it easy to adjust the climate control system, and they're sizable enough to use while wearing gloves. In addition to supplying excellent seat ventilators, the 4Runner's air conditioning system rapidly cools the cabin. During a cool morning drive along the beach with the 4Runner's windows and sunroof open, the heater and heated front seats kept the chill at bay. According to the people who buy the 4Runner, the SUV's infotainment system is their least favorite thing about the vehicle after fuel economy. 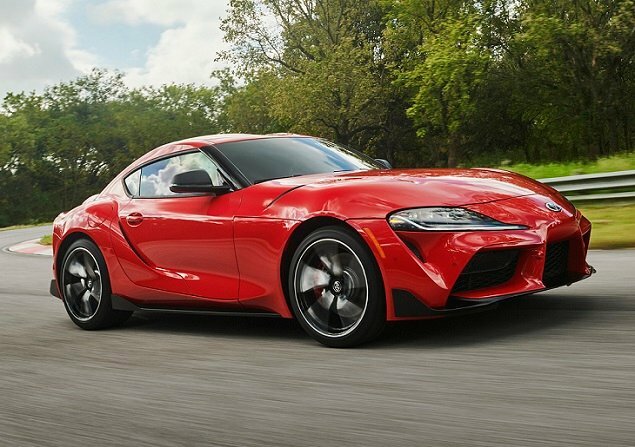 That's easy to understand, though the system's Siri-compatible voice-recognition system works well, and Toyota provides large volume and tuning knobs to make common radio adjustments easy to make. Among the flaws, the largest touch screen measures just 6.1 ins. across, which is tiny by modern standards. The screen also suffers sun glare under a variety of driving conditions, rendering the information illegible. Small virtual buttons on the screen are also difficult to use in a vehicle that bounces around as much as the 4Runner does. Toyota does not offer Apple CarPlay or Android Auto in any of its vehicles, the company citing customer privacy concerns. Safety Connect subscription service, which includes automatic collision notification, is restricted to the most expensive Limited trim level. Clearly, there is room for improvement on the infotainment front. With that said, the available 15-speaker JBL premium audio system sounds good. Thanks to its large interior, the 4Runner provides generous amounts of cargo room. Behind the rear seat, maximum volume measures 47.2 cu. ft. Fold the rear seat down and this Toyota holds 88.8 cu. ft. of cargo. An optional sliding cargo floor helps to make loading heavier items easier. Within the cabin, the 4Runner supplies a sizable glove box, a large and deep center console bin, and trays carved into each door panel. Everyone gets at least one cupholder and one bottle holder, and Toyota adds additional slots here and there for a little bit of added space. If this SUV could be improved on this front, it would be inclusion of an open tray on the center console, but with the 4WD system's transfer case control knob taking up precious real estate, that won't happen before a complete redesign arrives. You sit up high in the 4Runner, the roof is fairly low, the hood is long and flat, and the windshield is relatively vertical in terms of its orientation. The result is a mail-slot view of the world ahead. Personally, this did not bother me. In fact, its one of the 4Runner's many unique traits that sets this SUV apart from the crowd. And I like it when I can see a vehicle's corners, which helps with parking and maneuverability. With that said, the hood can be a liability when off-roading, such as when cresting a hill. Smart drivers will stop, get out, and survey the landscape before proceeding. Big side mirrors and lots of glass all around help to improve visibility, as does a reversing camera. Unfortunately, as was previously mentioned, the reversing camera display screen is small and frequently washes out. You cannot solely rely upon it. Toyota does not offer modern driver-assistance and collision-avoidance technologies for the 4Runner. 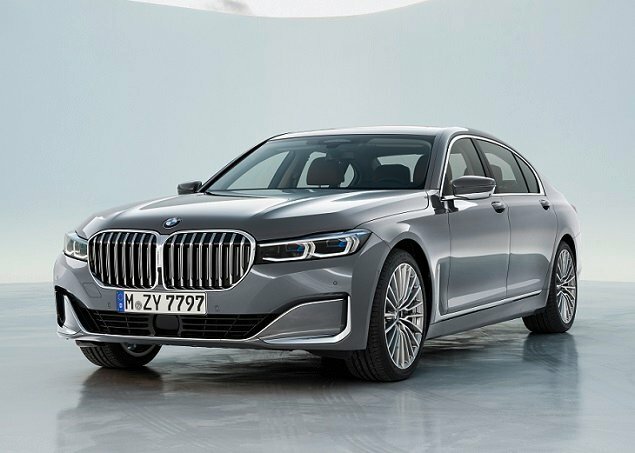 Most notable for their absence are automatic emergency braking, a blind-spot warning system, and rear cross-traffic alert, three of the more effective technologies in my opinion. The aging 4Runner also posts some concerning crash-test scores. Not surprisingly, this tall-riding SUV gets a 3-star (out of 5) rollover-resistance rating from the National Highway Traffic Safety Administration (NHTSA). The government also assigns the 4Runner a 3-star protection rating for the front-seat passenger in a frontal-impact collision, while the Insurance Institute for Highway Safety (IIHS) gives the SUV a "Marginal" rating in the tough small overlap frontal-impact assessment. Given the visibility challenges, lack of modern safety features, and the mediocre crash-test scores, it is hard to see why 4Runner buyers appear to be indifferent about the vehicle's visibility and safety characteristics. Buyers do not find the 4Runner's engine and transmission to be among their favorite things about the SUV. I would argue that the complaints are related more to their installation in this heavy SUV than they are with the components themselves. The 4Runner Limited 4WD tested for this review weighs 4,805 lbs. That forces the 4.0-liter V-6 engine's 270 horsepower and 278 lb.-ft. of torque to work overtime, and even with the accelerator pedal mashed to the floor, this SUV can't even be called quick. A 5-speed automatic transmission powers the rear wheels, unless you get a 4Runner with 4WD. It does a good job of maximizing engine response, and holds a lower gear when ascending or descending grades. You'll need to push harder on the accelerator, of course, but a 4Runner will maintain a steady 75-mph velocity up a mountainside freeway. Perhaps because the engine is huffing and puffing to get this chubby SUV moving, it makes plenty of noise when revving. Still, installed in a lighter vehicle, this drivetrain would be agreeable. The problem isn't with the dependable engine and trustworthy transmission so much as it is with Toyota's decision to use it in the hefty 4Runner. Hard-working engines guzzle gas, and that's true with the 4Runner. The EPA estimates that the test vehicle should have returned 18 mpg in combined driving. On the test loop, the SUV averaged 17.8 mpg. That's acceptable within the context of the EPA rating, but the reality is that if you spend more than half of your time in traffic or urban environments, the average drops fast. Hence, it is not surprising that 4Runner buyers are dissatisfied with this SUV's fuel economy. Buyers appear to be happy with the 4Runner's driving dynamics. The only explanation for this is that they're expecting it to drive like a truck, which it does. The steering is slow and requires plenty of twisting while parking. The brake pedal can be difficult to modulate, occasionally failing to deliver the desired response and sometimes providing too much of it. 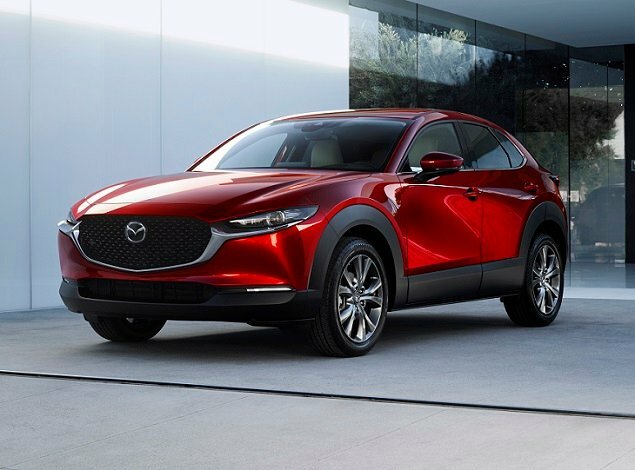 The Limited trim level has an X-REAS (Cross Relative Absorber System) suspension, which provides a complicated solution to the problem of body roll, pitch, dive, and squat in order to make the SUV more palatable to drive on pavement. In combination with the Limited's 20-in. wheels and P245/60 mud-and-snow tires, the 4Runner handles decently. But it's still a truck. The ride is bouncy, jouncy, and sometimes harsh, but the underpinnings are clearly engineered for significant abuse. Take a corner with too much enthusiasm and the tires howl in protest. Coast down a hill and it's important to remember that it takes more effort to stop a 4,800-lb. vehicle than it does, well, most other cars and crossovers. You're going to want to leave extra space in traffic, too. It is also worth noting that the 20-in. wheels take a toll on the 4Runner's turning radius. That makes executing U-turns and navigating tight trails more difficult. Speaking of trails, the 4Runner shines brightly when taken off-road. The Limited version has a full-time 4WD system with a transfer case that can be locked into 4-Hi or 4-Lo. Generous approach, departure, and breakover angles allow the 4Runner to tackle tough terrain without damage, and the test vehicle's 9.6 ins. of ground clearance makes this Toyota a blizzard buster. Buy a 4Runner for its intended purposes or with realistic expectations about how it will drive and you'll likely be happy with it. Otherwise, the potential for disappointment is significant. If you're looking for a serious off-roading tool in a midsize package, you have three choices: the Jeep Grand Cherokee, Jeep Wrangler, and the Toyota 4Runner. The 4Runner is neither as refined as the Grand Cherokee nor as utilitarian as the Wrangler, which, for a certain type of SUV buyer, makes the Toyota just right. If you're going to spend most of your time on pavement, especially if you live in a sunny and dry climate, the 4Runner isn't a good choice. From its dismal fuel economy to its unimpressive safety ratings, this truck is a poor substitute for a car or a crossover SUV when it comes to a daily driver. While researching information for this review, I took a look at 4Runner sales since calendar year 2002. Between 2006 and 2008, they plummeted and didn't start to recover in a significant way until 2014. This SUV's fortunes rise and fall with the economy and gas prices, something to keep in mind if you buy one today and your economic situation shifts tomorrow. Toyota Motor Sales, U.S.A. supplied the vehicle used for this 2017 Toyota 4Runner review.